As reported earlier, President Buhari on a two-day official visit to the South-East region. 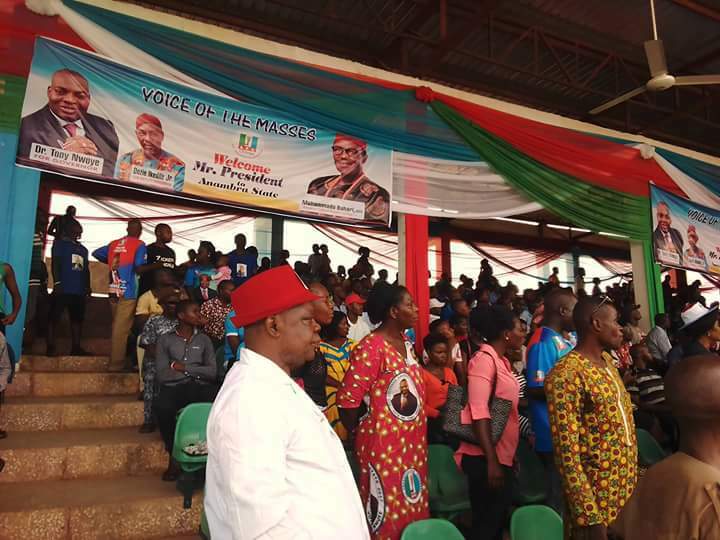 The president yesterday visited Ebonyi state and is set to visit Anambra state inline with Anambra governorship campaign rally supporting APC guber candidate, Dr. Tony Nwoye at Dr. Alex Ekwueme Stadium in Awka. 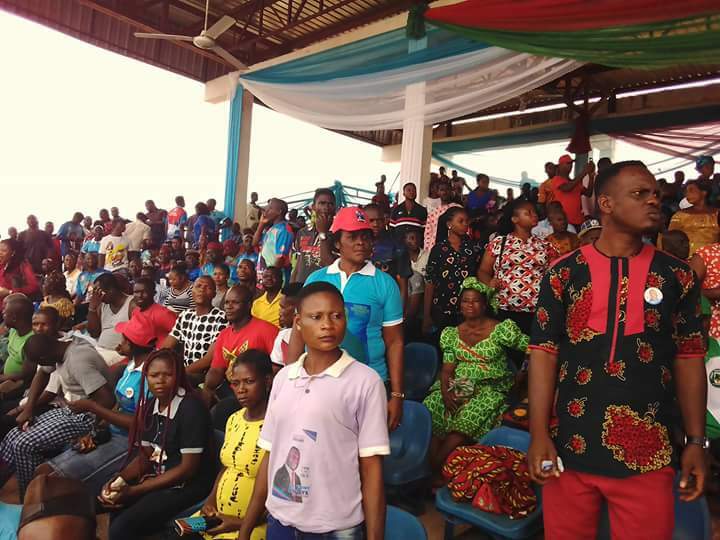 There is massive turn up of Anambra indegenes in Alex Ekwueme Square in Awka, Anambra state as they await the arrival of President Mohammadu Buhari. 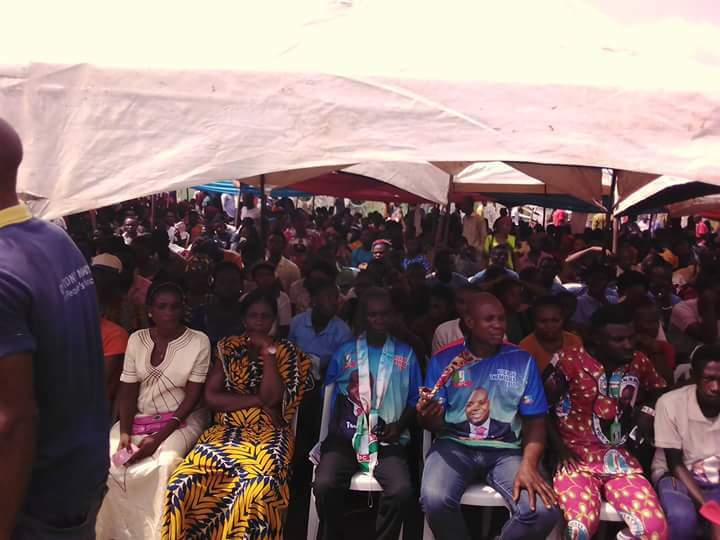 According to GIFTEDBLOG, crowd numbering in thousands are mostly Chieftains of the All Progressive Congress (APC) and their supporters.